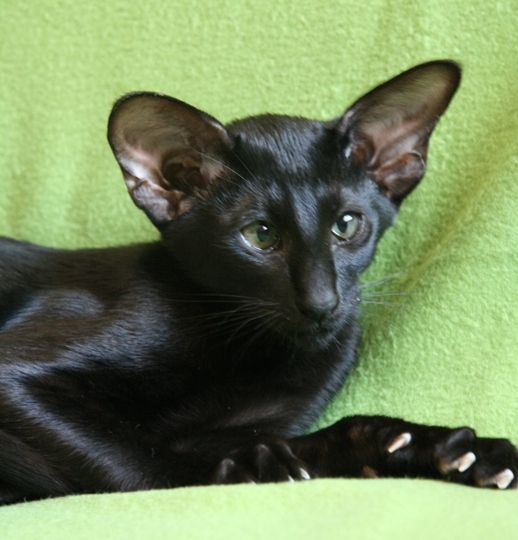 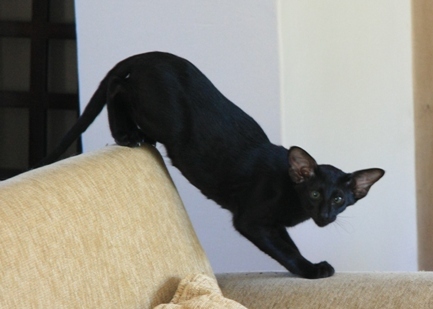 My black "Dream" has arrived safely in Cape Town from Slovakia :-) A BIG Thank You to his breeder Andrea Bednarova of Sultan Chan Cattery for this special gift! 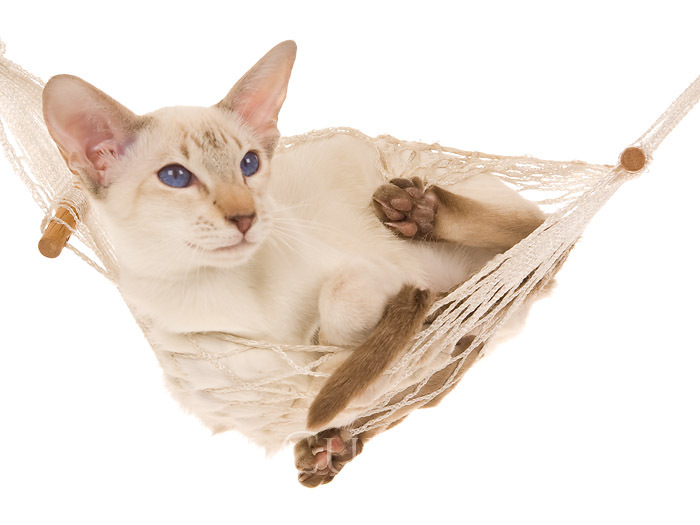 Thanks also to Lesley Morgan-Blythe for recommending Andrea! 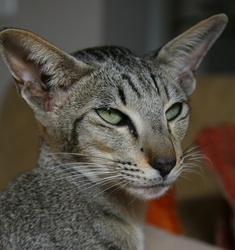 Thanks to my good friend Charlene Du Toit for accompanying me to the airport to collect him. 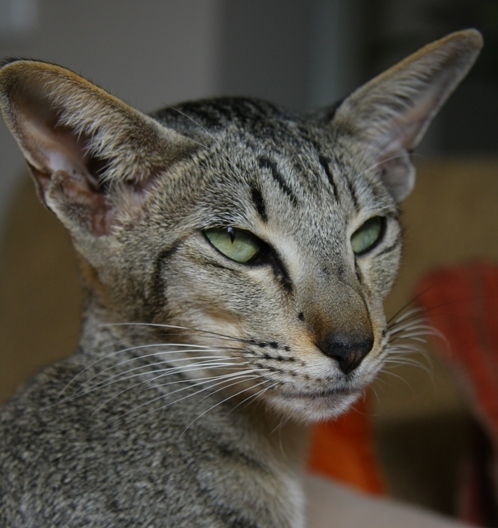 After such a long flight he came out of his carrier purring and kneading - a super temperament! 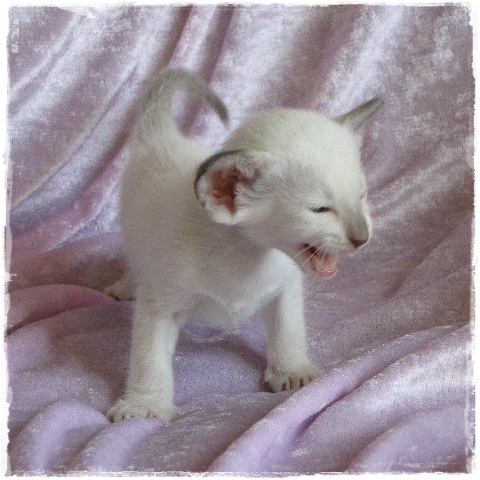 Andrea, you can be very proud!!! Congratulations to Ian Moore on his SACC Stud of the Year 2011 win for Gr Ch Tamarind's Valentino! 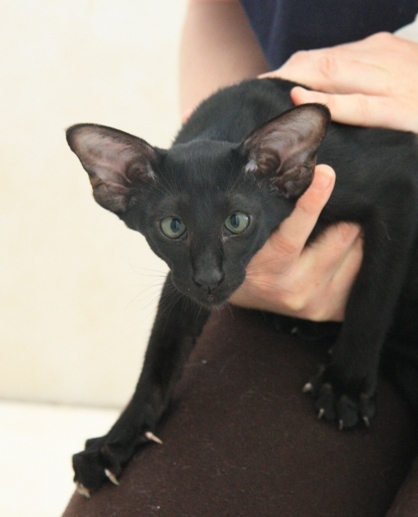 Valentino was the only baby born in the litter via caesarian section. 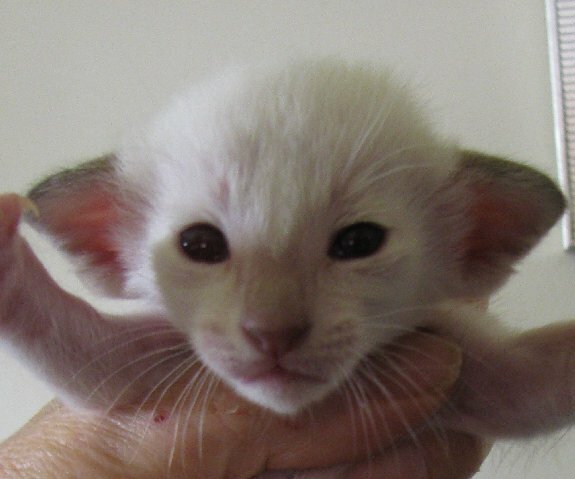 Unfortunately his mom rejected him and Ian had to find a foster mom in the hope of saving him. 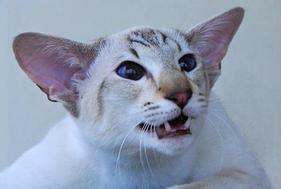 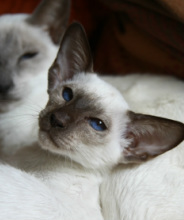 He was fostered out to Dr Kim Cutter of Kimcol Burmese and brought up among a litter of burmese kittens. 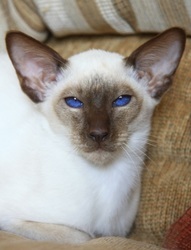 Not being able to find him a suitable home Ian decided to keep his little "Tonkinese" and use him as a stud for a few matings whereafter he would be neutered before reaching 1 year old. 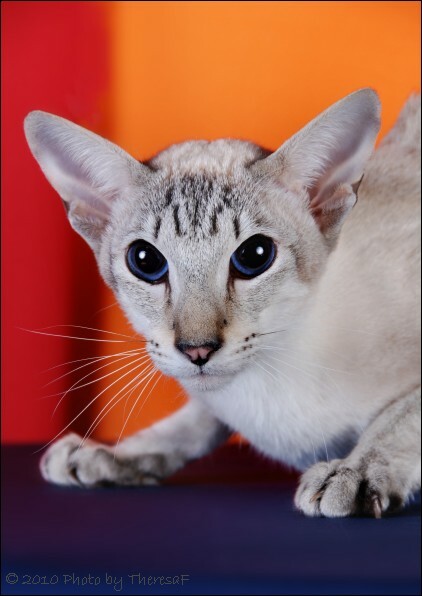 Congratulations to Ian on Valentino's win! 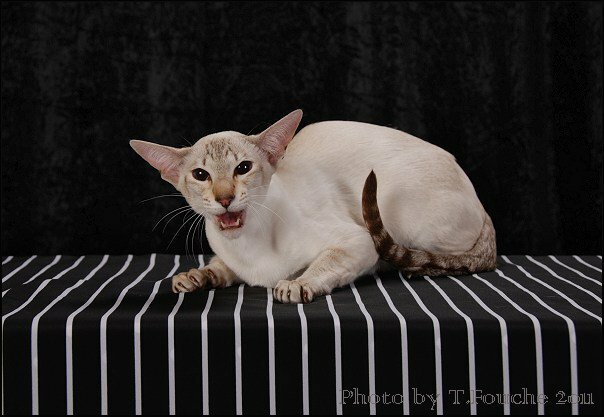 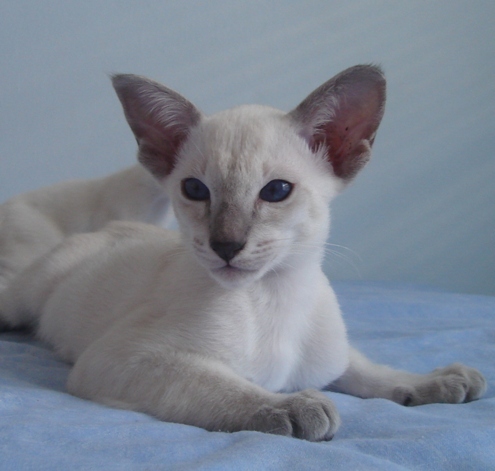 Mai-Thai Cattery welcomes Taigha Valentino Rock 'n Rose, Chocolate Point Siamese female from Lucy Arends-Wagner at Taigha Cattery. 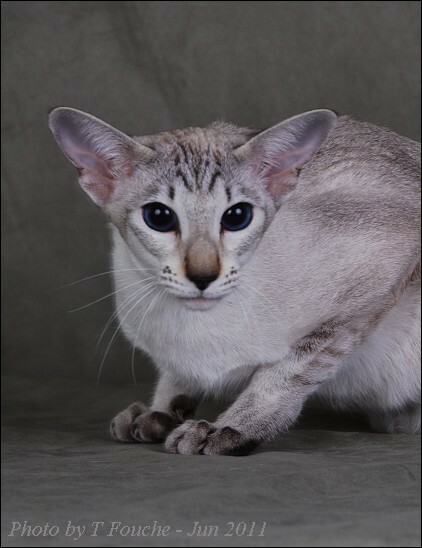 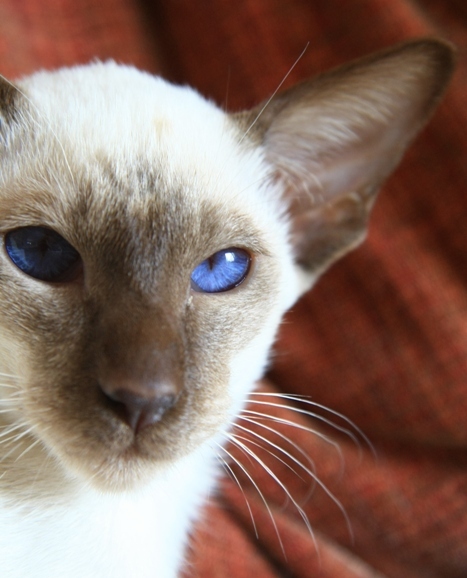 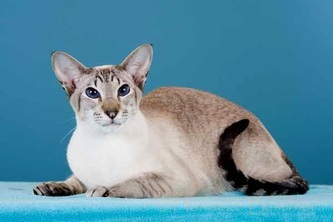 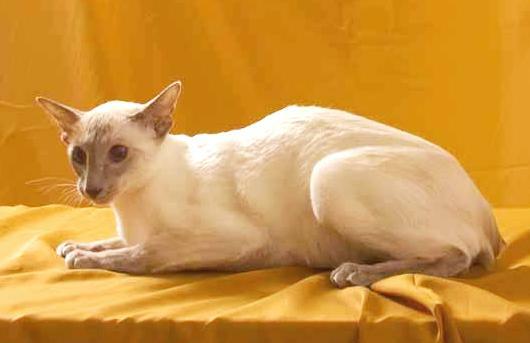 Rosie is daughter of Sup Ch Mai-Thai's Charlie's Angel of Taigha RQ NQ (Chocolate Tabby Point Siamese female) and Taigha Leo Da Vinci (Seal Point Siamese male). 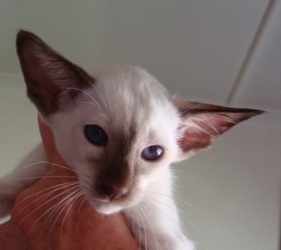 Rosie has super type and lovely pale warm milk chocolate point colour and pale coat. Thank you Lucy for this beautiful baby who will no doubt continue in her mother's footsteps in her breeding and show career.